Pièce18 - Children of Ann Koski Chisholm and Archie Chisholm. Photo taken in Sudbury - Baby Leslie Karen was born in Sudbury. Carl Richard was born in Montreal. Date of photo - March 1948. 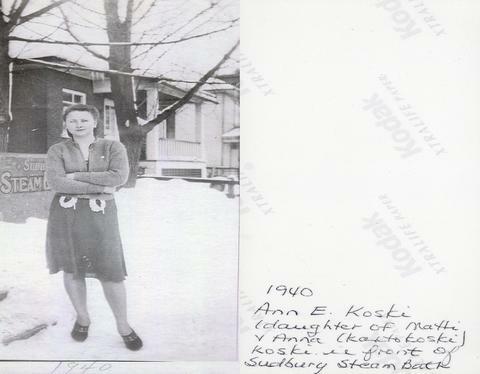 Pièce19 - 17 yrs old - To Ann & Archie from Vic Koski - May 25/43 S.S.M. Source du titre propre: Title written on the back of the photograph.